Holy roadblocks, Batman! 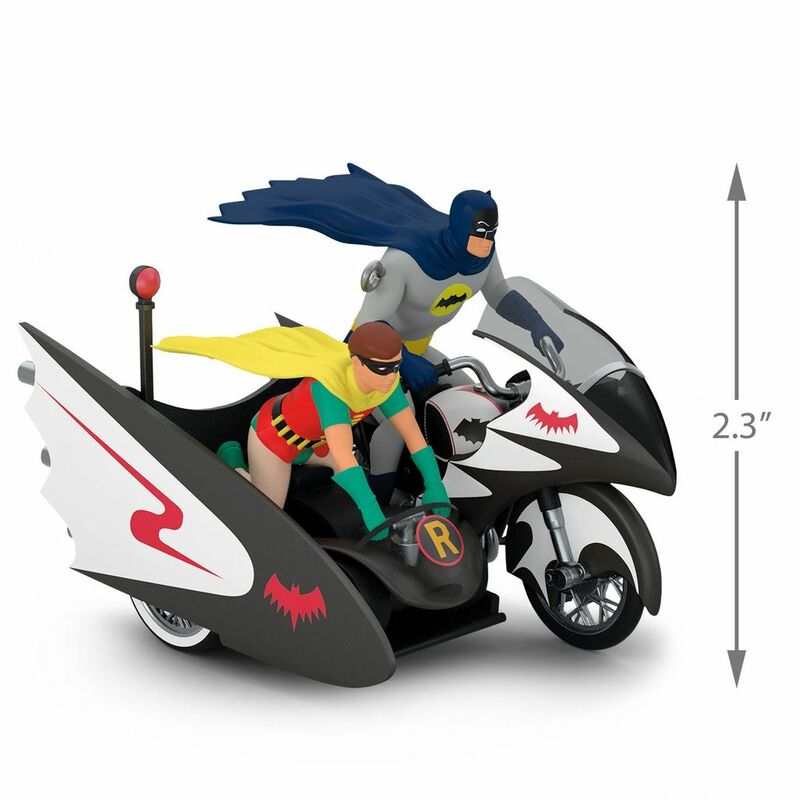 Brace yourself for holiday excitement with the Caped Crusader™ and Boy Wonder™ on their Batcycle. In the Batman Classic TV Series, the iconic sport cycle was equipped with an array of gadgets, including a side car with a portable go-kart that could be deployed for Robin's missions. Christmas tree ornament features the Super Hero styled motorcycle with authentic detailing. Artist crafted by Orville Wilson. Pre-packaged in a box for easy gift giving, preservation and storage. Dated 2018 in copyright. Plastic Christmas tree ornament is lead-free and measures 3.3" W x 2.3" H x 2.3" D.